Geoff Rooke, Cannington Golf Club’s captain, led his team in a non-playing capacity to victory in the inaugural President’s Trophy competition, running out the winners by 12 games to 8. 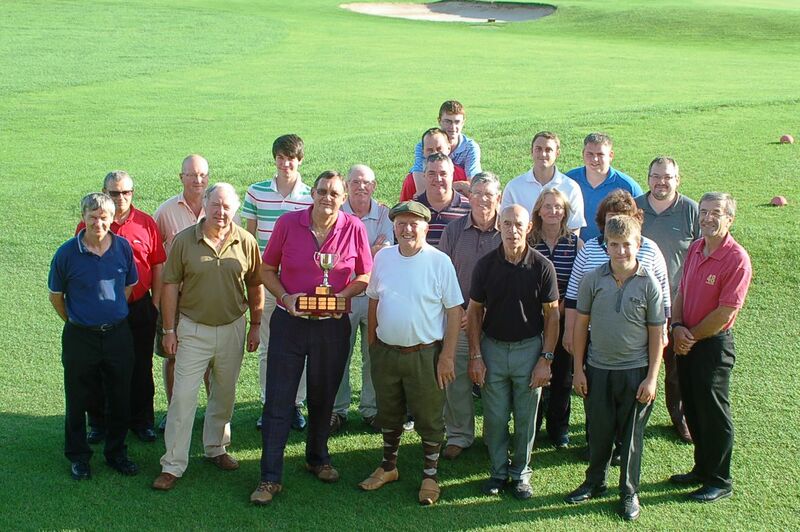 The Cannington President, Stuart Mason, has donated a trophy to be played for on a bi-annual basis in a match between the Captain’s Team and the President’s Team, played over the weekend at the Cannington course. With the foursomes taking place on Saturday morning, the Captain’s team built an early lead by winning all four games. The President attempted a comeback in the afternoon fourballs and improved to half the afternoon series two games each, leaving the Captain with a four game lead to take into the Sunday’s singles matches where 12 points were at stake. Kay Fawcett in the first game out in the Sunday’s singles, pushed the score along to a five game difference and then it had to come - a rally from the President’s men to take the next three games to reduce the deficit to only two games. The former Club Captain however, steadied the ship having to play two opponents - he successfully saw them both off to restore the four game lead. It was now the turn of the club juniors playing for the President, to step up to the plate. And how they did, with James Sewell and James Lloyd winning their games by a margin of two and one, supported by Harry White who overpowered his opponent by four and three. However not to be outdone, and with the Captain’s encouragement, his team claimed the last three games to take the trophy by 12 games to 8 games. Final Score: President’s Team 8 games, Captain’s Team 12 games. 9 holes from only £10!